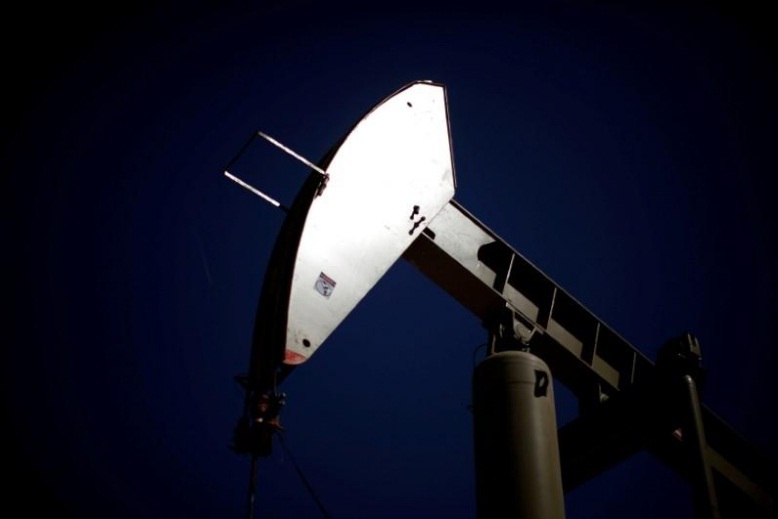 FILE PHOTO: A pumpjack brings oil to the surface in the Monterey Shale, California. LONDON - Oil prices rose on Thursday, spurred by rising tension around northern Iraq following the Kurdistan region’s vote in favor of independence in a referendum. Brent crude LCOc1 was up 40 cents at $58.30 a barrel by 1200 GMT. It hit a more than two-year high of $59.49 on Tuesday after Monday’s referendum vote prompted Turkey to threaten to close the region’s oil pipeline. U.S. light crude CLc1 was 40 cents higher at $52.54 after reaching a five-month intra-day high of $52.86. “Kurdistan and Northern Iraq now export 500,000-550,000 barrels per day (bpd). That would be a big loss to the market,” said Tamas Varga, analyst at brokerage PVM Oil Associates. Iraqi Kurdistan voted overwhelmingly on Monday in favor of independence, prompting Turkish President Tayyip Erdogan to say he could use force to prevent the formation of an independent Kurdish state and might close the oil “tap”. Turkey promised on Thursday to deal only with the Iraqi government on crude, “restricting oil export” operations to Baghdad, the office of Iraqi Prime Minister Haider al-Abadi said. Torbjorn Soltvedt, principal analyst for the Middle East at risk consultancy Verisk Maplecroft, said there was about a 20 percent chance that pipeline northern Iraq and Ceyhan in Turkey would be shut. U.S. crude also found some strength from a surprise fall in U.S. stocks. U.S. crude inventories USOILC=ECI fell 1.8 million barrels last week, the U.S. Energy Department said, versus forecasts for a 3.4 million-barrel build. The outlook for oil demand has strengthened, analysts say. The International Energy Agency earlier this month raised its 2017 global oil demand growth estimate to 1.6 million bpd from 1.5 million bpd, citing stronger than expected demand growth in the United States and Europe. Still, U.S. crude production rose to 9.55 million bpd last week, higher than before Harvey hit the Gulf Coast. With Brent futures commanding their highest premium over U.S. crude WTCLc1-LCOc1 in more than two years, U.S. crude has become increasingly competitive in foreign markets and exports hit a record 1.5 million bpd last week. That complicates efforts by the Organization of the Petroleum Exporting Countries and other major producers to push oil higher through output curbs, as every rise in price encourages more U.S. production. Oil prices rose on Thursday, spurred by rising tension around northern Iraq following the Kurdistan region’s vote in favor of independence in a referendum.